 August 8, 2018 at 11:48 am. If you’ve ever dreamed of celebrating a milestone birthday in a castle then this blog post is for you. 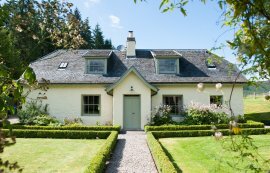 We’ve pulled together all our favourite things about Aldourie that just so happen to make it the most wonderful place to celebrate the exciting and momentous landmarks in someone’s life. Whether you’re turning 18 or celebrating an incredible 90 years of age, there couldn’t be a more perfect location than this enchanting Castle on Loch Ness. The exclusivity and privacy you enjoy in any hospitality setting will heighten sensations of comfort and relaxation. Don’t believe us? Ask any one of our guests who’ve enjoyed our exclusive use castle in Scotland. Once you enter the large iron gates at the top of the drive, your private castle stay begins. Let go of any troubles and stresses and escape city life by celebrating your milestone birthday in a castle. Not all of us are partygoers. But most of us can’t deny the wonderful and secure sensation of being surrounded by our very nearest and dearest at the most important times in our lives. A milestone birthday in a castle is just that. 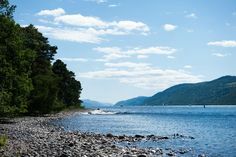 Celebrate being you in a Scottish castle surrounded by nothing but the majestic Highlands landscape and the calming waves of Loch Ness. This will encourage your own wellbeing and give you time and space to reflect. As social as a birthday party may be, it’s nice to get away from noise and be in the moment. 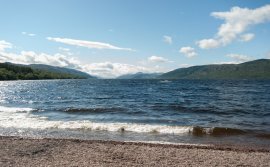 We recommend an early morning stroll with Lizzie, Aldourie Castle’s devoted dog, down to the shores of Loch Ness. Here you can admire the pure serenity of a Scottish Highlands’ sunrise. Celebrating your milestone birthday in a castle also lets you see the wood for the trees. You can enjoy the space as your own in your own time, pondering the beauty of nature and exquisite rooms with little or no distraction. It also gives you the opportunity to spend quality time with those you love over a week or even longer. Celebrate, reminisce and make memories at your own pace in an exclusive use castle. Imagine waking up on the morning of your 21st birthday and having an entire Highlands castle and estate to yourself. Every inch of it there to be explored and enjoyed by you and your favourite people. 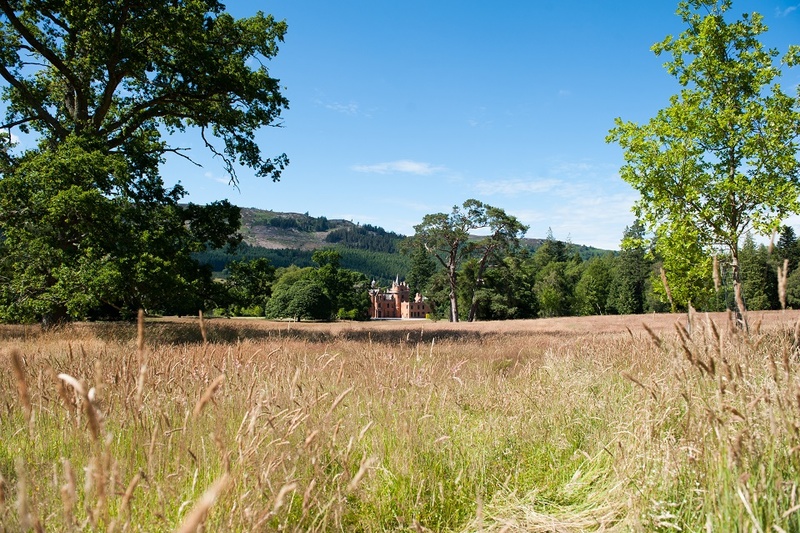 The 500 acres of Aldourie Estate comprises parkland, woods, gardens, the legendary Loch Ness and more. It’s all there to be roamed so don’t hesitate to get outdoors. The views are varied and there’s one for everyone – and every decade. From dramatic highland mountains to pretty floral displays and vast tree-dotted parkland. Enhance the theatrical celebrations of your milestone birthday in a castle with this beautiful backdrop. Aldourie Estate is like a patchwork quilt of the best that the Highlands has to offer. Start from the back door and weave your way around this spectacular outdoor paradise. 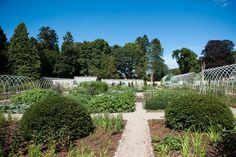 We promise you’ll come across a part of Aldourie’s generous landscape you’ll want to visit again and again. What better birthday present than that. Why not sit amongst the topiary trees of the formal Castle Garden. If there are children in your group they’ll love running together along the flower lined paths. We all love a champagne reception in grand, historic surroundings, whether it’s after the wedding nuptials or before a business conference. There’s a definite buzz in the air; a mixture of the bubbles and the posh frocks maybe. But could it also be a reaction to the surreal nature of the place; somewhere you don’t frequent every day? The history combined with elegance is what makes it exciting. 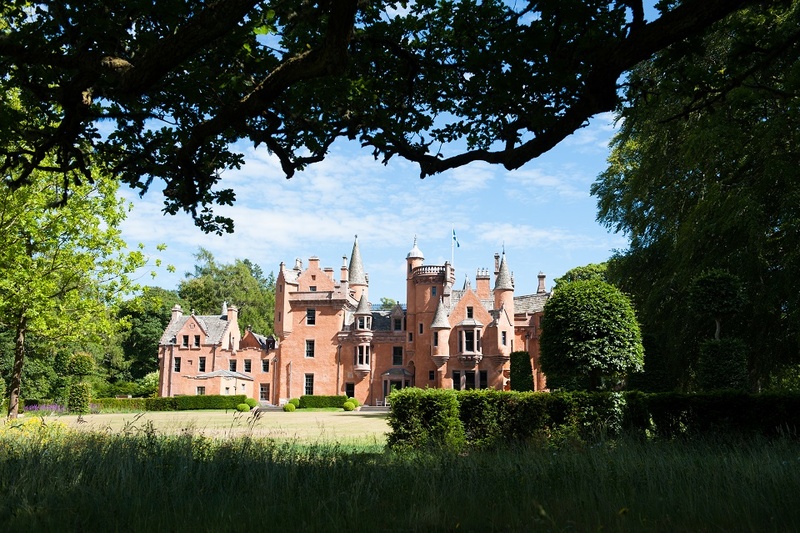 In the past, Aldourie has played host to individuals who have chosen to celebrate their milestone birthday in a castle. You can have a castle stay house party for a weekend or longer. 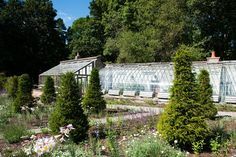 This is very appealing if you spend your free time travelling up and down the UK visiting National Trust, Historic Scotland or English Heritage sites. The big difference at Aldourie Castle, however, is the fact that there are no roped off areas. In fact, the only rope you’ll see is the handrail to help pull you up the steep spiral staircases. You’ll find these in any Scottish castle but the beauty of our exclusive use castle in Scotland is that no one will condemn you for wandering into hidden towers and turrets. Another reason to hold your milestone birthday in a castle in the Scottish Highlands is the wonderful group accommodation. 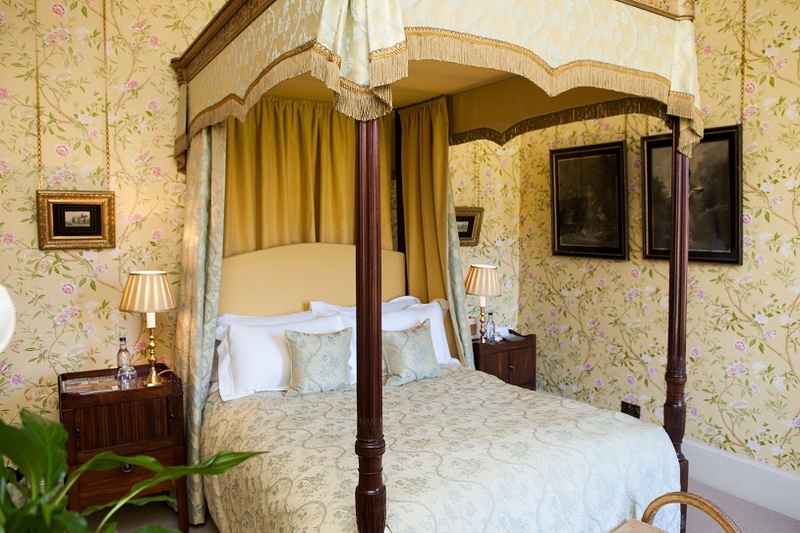 In a castle, the bedrooms are as you would expect them to have been back in the day. Each is extremely comfortable, beautifully decorated and has the ‘wow’ factor. 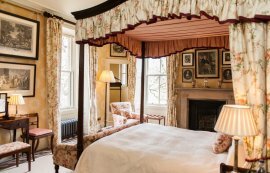 This appeals to exclusive use parties who can place their private guests in bedrooms according to their requirements and personal tastes. 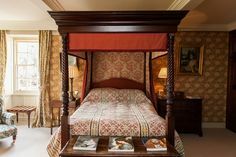 Each castle bedroom, particularly at Aldourie, is designed around a theme thereby determining its own style. Take a look through our luxury castle bedroom gallery to see how Loch Bedroom, Garden Bedroom and The Nursery Wing differ from one another. Let’s face it; it’s nice to receive a personal invitation. Whether it’s to a simple summer garden party or a spectacular celebration of a milestone birthday in a castle. What makes a celebration location like this so appealing? For a start, guests can live the dream for a little while, imagining a life lived in a castle of their own. 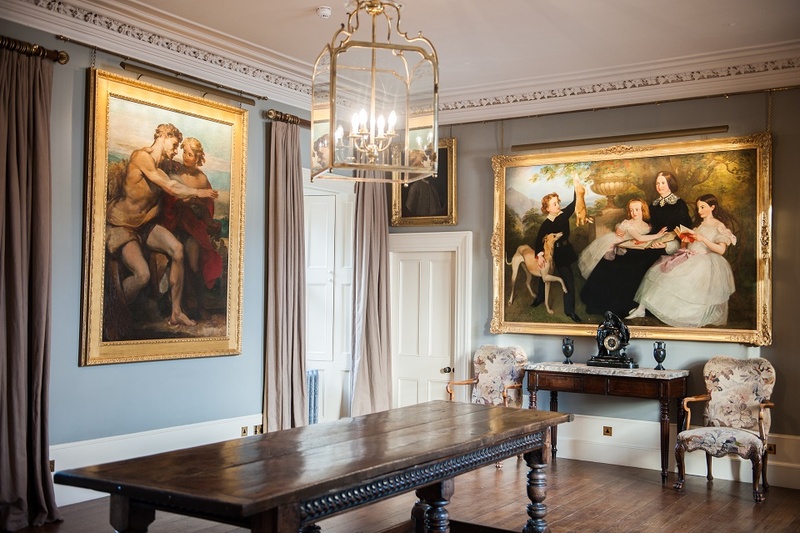 Our exclusive use castle in Scotland allows guests to wander the hallways in their finest party attire, admiring old family portraits and exquisite ornamental heirlooms as they go. A castle is made up of various rooms each with a specific use. For example, the wine cellar, breakfast room and great hall each have an individual purpose. This in particular helps make special celebrations with family and friends feel grander and more personal than simply hiring just another room in a venue. Visit Aldourie’s wine cellar to choose your own wine to be served the evening of your birthday celebrations. Greet your guests in the Main Hall offering them a glass of champagne and canapés. Let them retire to the Library for quiet conversation or the Drawing Room for party games. The morning after, meet your family and friends for a full Scottish breakfast in the Lairds Room overlooking Loch Ness. These are just a few reasons to celebrate your milestone birthday in a Sottish castle. We hope you have fun discovering the rest. 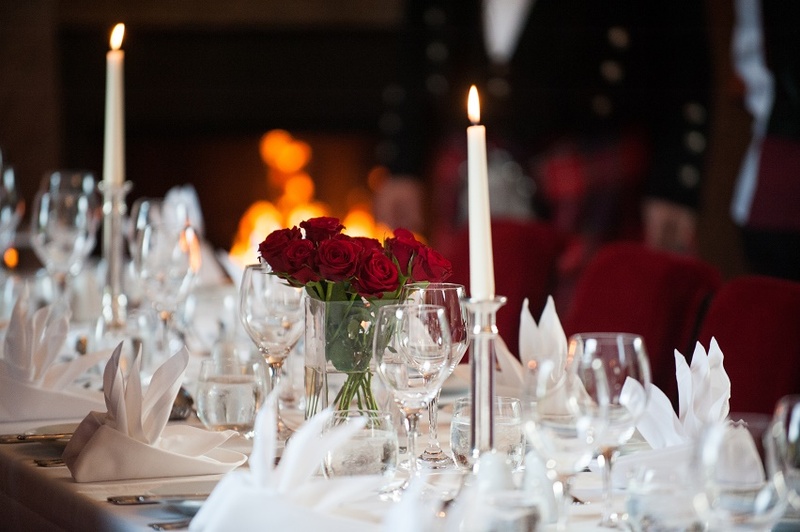 For more information on how to hire Aldourie Castle for your special occasion or event please contact the Castle via our website.